September 28, 2012  The Obama administration recently filed a complaint against China with the World Trade Organization. Meanwhile the two campaigns are having an ad war in Ohio over Chinese trade. Part of the reason is that Ohio's manufacturing industry — especially for autos — is firing on all cylinders. 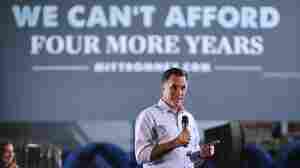 September 28, 2012  Undecided voters in Ohio got a lot of attention this week from President Obama and GOP rival Mitt Romney. Coal may be the key to many swing voters in the Buckeye State, which remains a top coal producer. 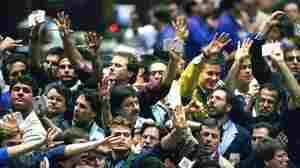 September 25, 2012  Thirty years ago, shouting, sweating traders thronged the trading pits of Chicago's exchange markets in barely controlled chaos. Today, a lot of the trading has left the pits and gone electronic, leaving Chicago's trading pits tamer places. September 18, 2012  As the school strike in Chicago goes on, the contest isn't just between the teachers union and the Chicago Board of education. Many see the Chicago conflict as a battle for the future, not just of unions, but of public education. September 17, 2012  Roughly 350,000 students will be out of school until at least Wednesday. That's even after both sides agreed on a framework for a deal to end the strike. Union delegates say they need more time to talk over a deal with their fellow teachers. September 14, 2012  As the teachers' strike in Chicago enters its fifth day, a resolution now appears to be close. Nearly 350,000 students could be heading back to class as early as Monday. Even with an end possibly in sight, teachers still remain skeptical about changes coming to Chicago Public Schools. September 12, 2012  Chicago Mayor Rahm Emanuel is negotiating with striking teachers, who are a key part of his — and the president's — constituency. Meanwhile, he's tasked with raising money for Priorities USA Action, the superPAC supporting President Obama. It seems that this election season, Emanuel has his hands full and his feet on a high wire. September 11, 2012  Chicago teachers entered their second day of a strike on Tuesday. Meanwhile, thousands of children were supervised by administrators for half a day. 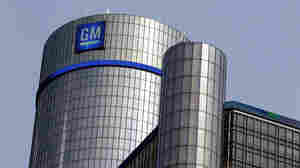 September 5, 2012  By some measures, General Motors is doing fine post-bailout and post-bankruptcy. The company is profitable and makes better cars than it did a generation ago. But its stock price is down sharply, and it still doesn't have a blockbuster car like its competitors Toyota, Honda and Ford. 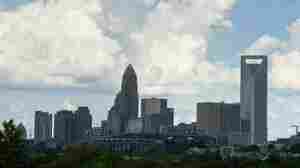 September 3, 2012  Delegates, journalists and protesters are beginning to fill the streets of Charlotte, N.C. The city has a lot riding on the Democratic National Convention which gets underway Tuesday. August 23, 2012  As we become more mobile and connected, we want our cars to do the same. MyFord Touch is Ford's big gambit to entice tech-savvy drivers. August 21, 2012  The scorching Midwest drought has caused crop prices to soar. But the dry weather is benefiting airlines, whose on-time performance has improved this summer, leading to fewer customer complaints and healthier profits.